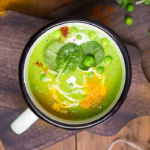 Are you a soup person? Because I’ve got the most killer butternut squash and apple soup with toasted croutons to share. 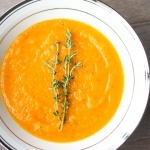 It’s got sweetness from the apple and carrots, it’s got a bite from the onion and curry powder, and it’s just all around comfort food… without the guilt! 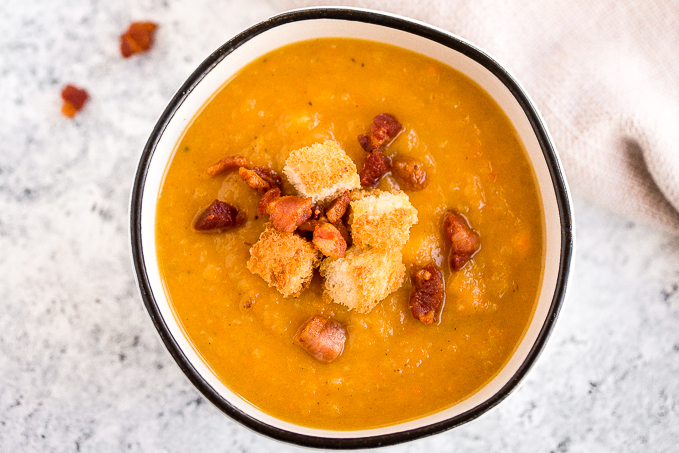 If you leave off the toasted croutons, this soup is both gluten-free and whole 30 compliant. Now that’s something I can definitely get behind. I am the kind of person who could eat butternut squash year round, so it is extra nice when it is actually in season. 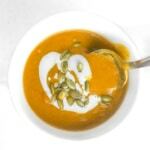 This soup is exactly what I crave after a long, cold, fall day. The good news? It doesn’t have to sit on the stove for hours. With less than 60 minutes cooking time, the soup can be on the table relatively quickly, even after a busy work day. And the leftovers? They seem to get better daily! 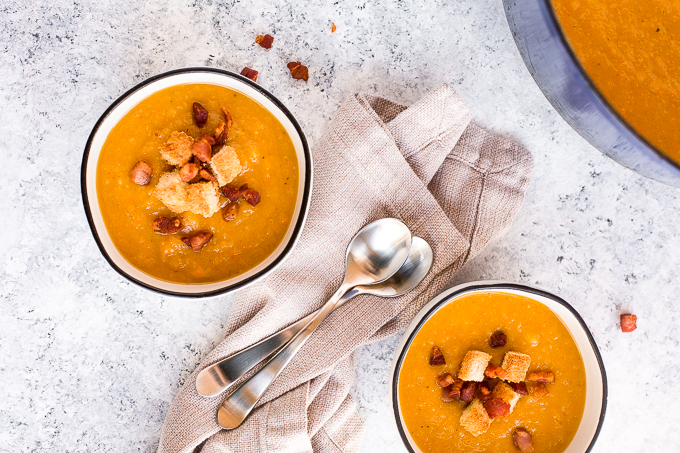 What takes this soup over the top is the layer of crispy pancetta and toasted croutons added on top. 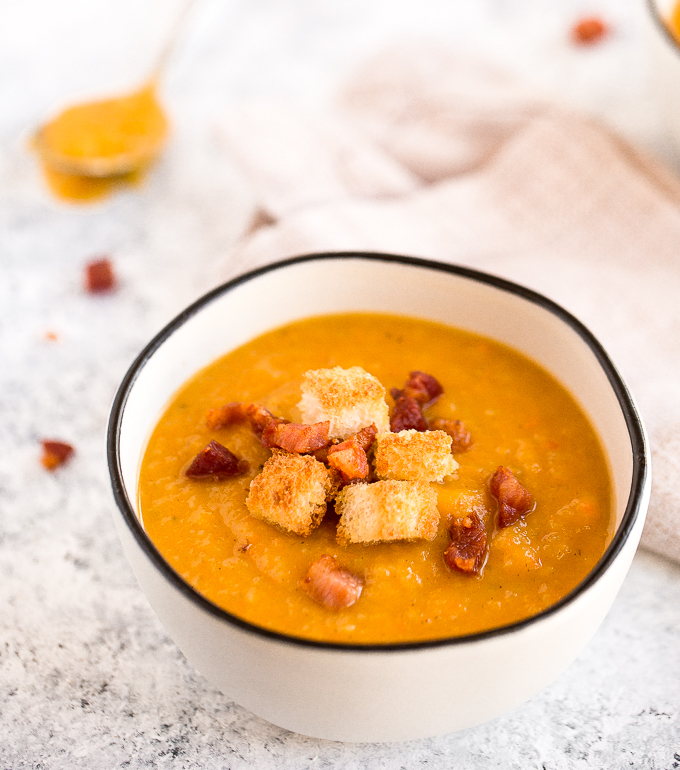 You might not think that the pancetta is necessary, but it adds a salty crunch to each bite that takes this soup to another level. But if you’re vegetarian, you can feel free to leave them out. And the crispy bread crumbs? Absolute perfection. They soak up all that delicious, creamy soup. 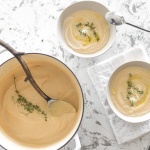 Guys, I’m convinced this may become your favourite butternut squash soup recipe. It is so, so good. 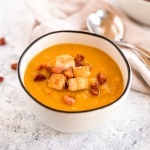 I’ve got the most killer butternut squash and apple soup with toasted croutons to share. 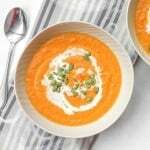 It’s got sweetness from apple and carrots, a kick from onions and curry powder, and it’s just all around comfort food… without the guilt! Heat oil in a large dutch oven over medium-high heat. When shimmering, add pancetta (if using) and cook until crispy, about 5 minutes. Remove with a slotted spoon and place in a paper towel-lined bowl or plate. Set aside. In the same pot, add onion, carrots, and celery. Cook, stirring often, until just beginning to brown, about 5 to 7 minutes. Season with 1/2 teaspoon salt and pepper. Add potatoes, butternut squash, and apples. Cook for 10 minutes, stirring as needed, then pour in apple cider vinegar, chicken stock (or vegetable stock), and water. Add another 1/2 teaspoon of salt, curry powder, cinnamon, and whole sage leaves. Bring to a boil, reduce heat, then simmer, covered, for 20 minutes. Test vegetables with a knife to see if they’re cooked through and tender. 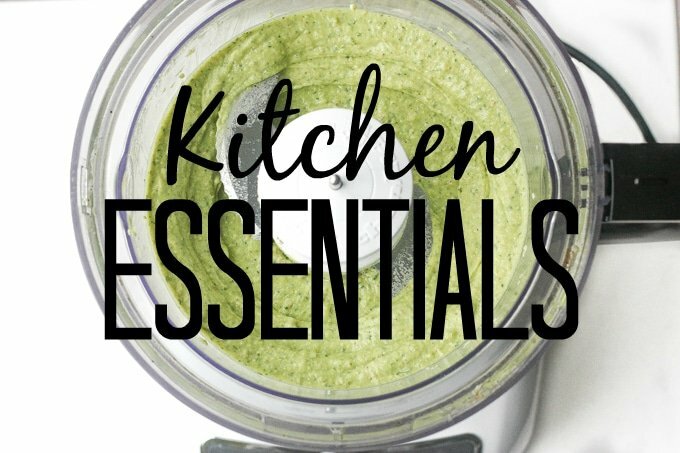 When ready, discard the herbs and carefully transfer soup to the bowl of a food processor or blender. Process, in batches if needed, until soup is fully puréed. Return soup to the pot. If it’s too thick, add a little water. Taste and adjust seasoning as needed. Preheat oven or toaster oven to 375 F. Place cubed bread in a small bowl, then drizzle with olive oil and salt. Place bread on a foil lined baking sheet, then bake for 5-7 minutes, or until bread is lightly toasted and brown. 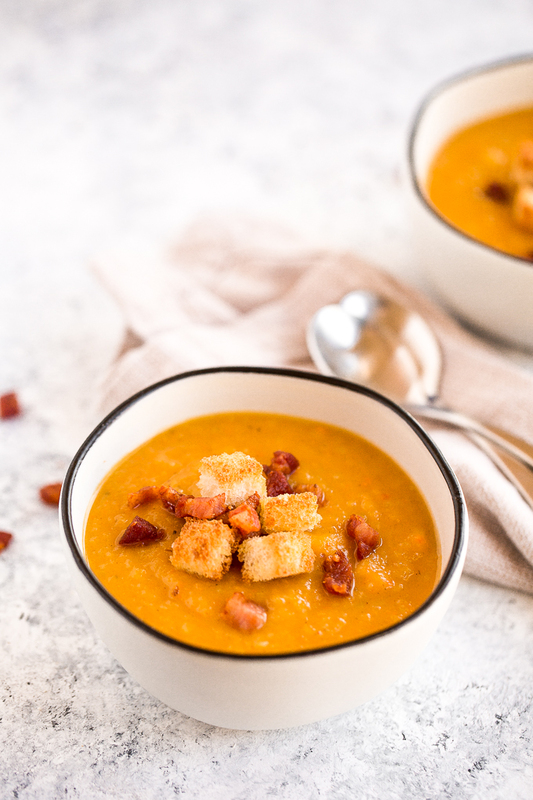 Top soup with toasted croutons and reserved pancetta. You can make this recipe vegetarian by omitting the pancetta. 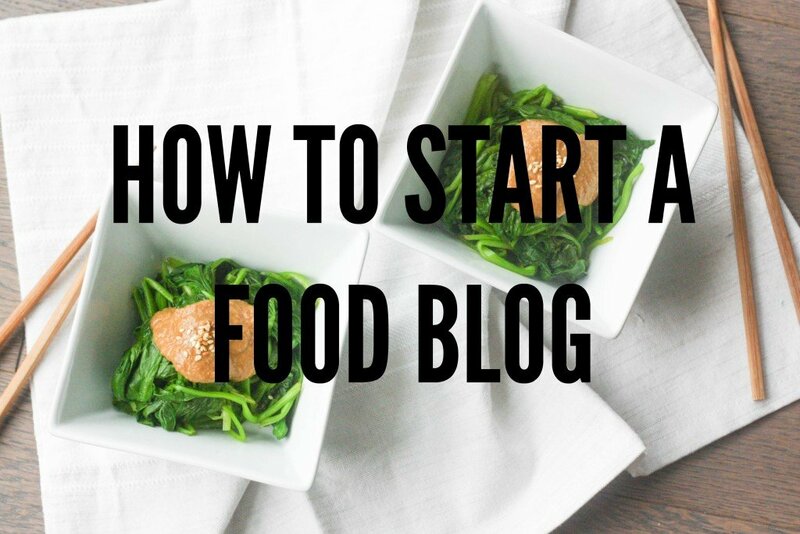 You can make this recipe gluten-free and whole 30 compliant by skipping the toasted croutons. This soup looks FANTASTIC!! Would this work with pumpkin too?